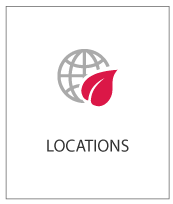 Coop members earn patronage on the business that you do with us. Sign up today to receive free market alerts via text or email. 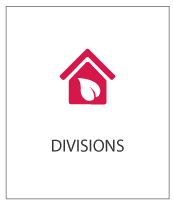 Pride Ag now offers Android and Apple app's to view our markets and webpage. 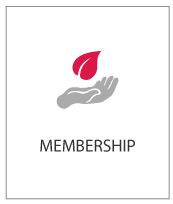 Patron Access and Online Payments provided to our Members. REMINDER HIGH SCHOOL SCHOLARSHIPS ARE DUE APRIL 26th 2019!! Jetmore – Surrounded by family and friends, Jesus took Kay Harms by the hand and led her home in the early morning hours of Friday, April 12, 2019 in Jetmore, Kansas. She was 76 years old. Kay Elaine Harms was born on November 5, 1942. She grew up on a farm along the Pawnee Creek in the North Roscoe township of rural Hodgeman County. She was guided in life by her parents, J. Olin Vieux and Leona Maye (Cook) Vieux. She attended Keroma Country School in North Roscoe and graduated from Jetmore High School. Before she had children, Kay worked as a nurse's aide at Penrose Hospital in Colorado Springs and later at the Jetmore Hospital. She was a member of the Sew-and-So Club and Jetmore Booster Club. Later in life, she worked for USD 227 as a high school cook and bus driver. Kay had a secure faith in God and was a member of the Jetmore United Methodist Church, cell group, and enjoyed helping with the Journey to Bethlehem. She was involved in 4H for most of her life and loved the county fair. She loved watching her kids and grandkids in various sports and other events in which they were involved. She was a fixture in her red stadium seat at Jetmore ballgames and always had her lawn chair front and center during the summers at the ball diamonds. She drove the activity bus for many years for several generations of Shorthorns and Longhorns. Kay met challenges in her life with determination and strong will. She had sincere empathy for others and loved to laugh until she cried. Kay will be deeply missed by her family, amoung whom include Pride Ag Resources employees, sons; Vaughn Harms and wife, Julie of Jetmore, KS; and Brandon Harms and wife, Trisha of Jetmore, KS. And grandsons Chipper Harms, Brennan Harms and Will Crabill. 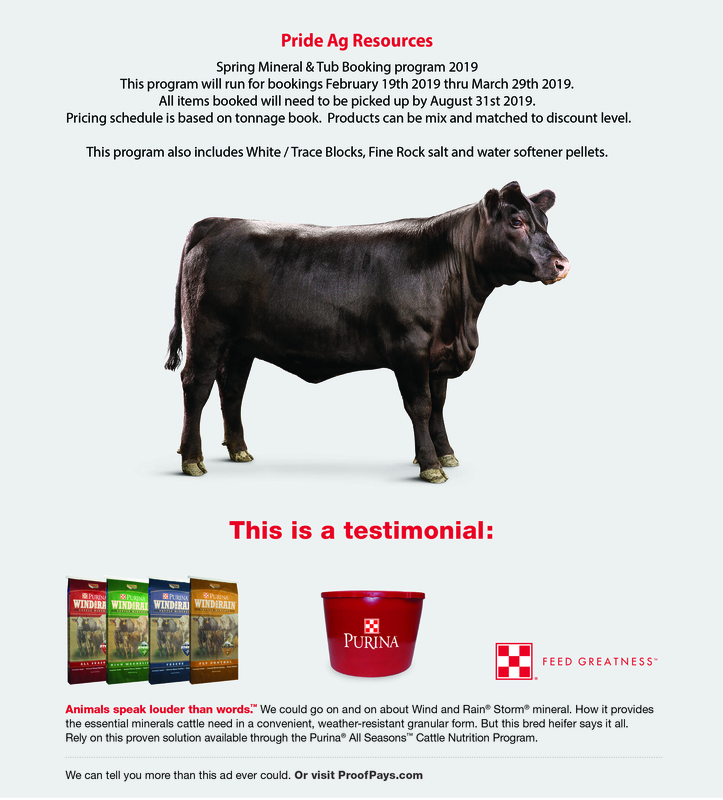 Thanks to everyone who attended the Pride Ag/Purina Spring Mineral meetings. We had really good attendance at all 3 meetings. Dr. Steve Myers presented a very informative program on ‘Fetal Programing’ and the value of mineral and supplementation to accomplish these objectives. 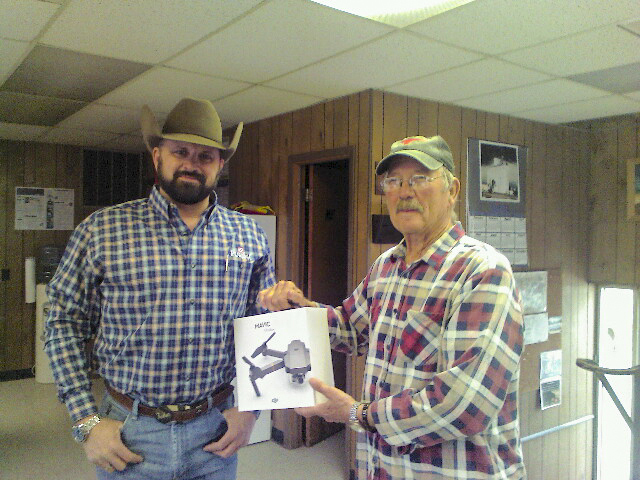 Mr. Dennis Bamberger who attended the meeting in Jetmore was the winner of the Drone. CONGRATULATIONS DENNIS! Please stop in at any of our locations and book your spring & summer mineral needs by Friday, April 5th. Kansas Co-op Council has developed a Summer Youth Leadership Camp to educate young people on the cooperative principles. This summer program will provide a fun and engaging cooperative experience for students entering their junior or senior year of high school. Students will be self-selected by Kansas cooperatives. 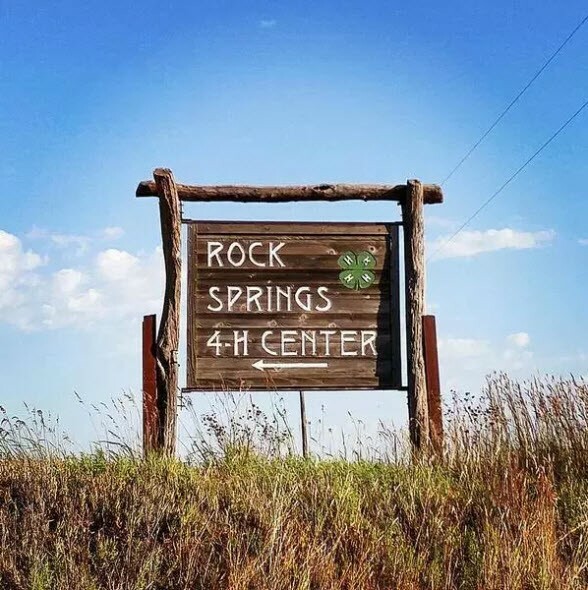 The 2.5 day program will be held on July 8-10 at the scenic Rock Springs 4-H Center south of Junction City, KS. Early bird registration fee of $850 will include lodging, meals and all activities held at the camp. Cost will be approximately $500 -$1,000 per person to attend. 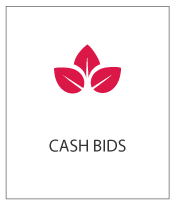 Pride Ag Resources will be covering the cost. Registration will be limited to 15-20 attendees on a first come first serve basis for this year, so only 1 or 2 students from Pride Ag Resources Trade Territory will have a chance to go. The applicants need to be a member’s child that will be a Junior or Senior next year 2019/2020. To apply they will need to fill our an application similar to our scholarship form. The program will include basic coop knowledge, a formal dinner with emphasis on teaching etiquette, leadership and team building, and time for fun. Contact Jerald Kemmerer CEO if you have interest at 620 225 4193. This pilot program will have limited seats and spots will be filled on a first-come-first-serve basis. To order service, click here and get started!